Eric Doyle and Payson Infelise continued their winning ways in race 3. They were fast and smart, which is deadly. I on the other hand, sailed not so smartly in race 3 and we finished 6th. 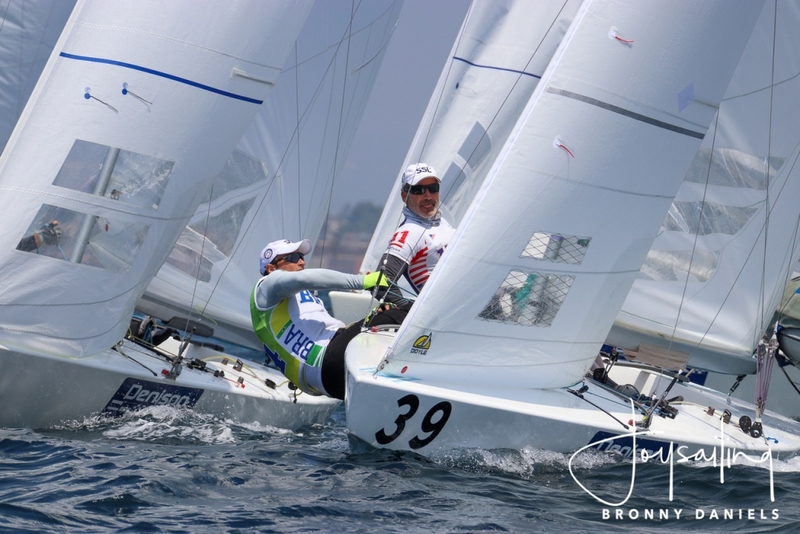 Chrlie Buckingham, fresh off qualifying the USA for the 2020 Olympics in the Laser class, sailed a great race to finish second and Peter Vessella and Phil Trinter rounded out the top 3. 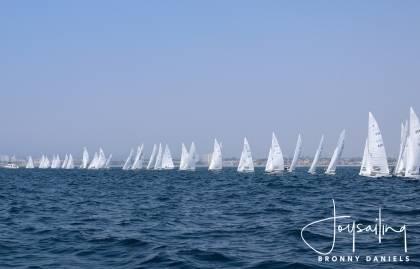 The start to Race 4 had two general recalls before the fleet finally got off under a black flag. As we rounded the first mark, a few to the top contenders were notified of their disqualification for starting early under the black flag. Among them were Eric Doyle, Mark Reynolds and John MacCausland, all three being past world champions. Arthur and I sailed very fast down the first run to pass Jim Buckingham and grab the lead. We kept it simple up the second windward leg and stretched out to a comfortable lead for the run to the finish. Vasella/Trinter were very fast today and grabbed second from Buckingham/Moss who finished 3rd. So after four races, Arthur and I have the lead by 2 points over Vasella/Trinter. But this lead is tempered by the fact that Eric Doyle made a mistake in race 4 that carries a hefty penalty. After tomorrows racing, each team’s score will be summed after discarding their worst race, which will help Doyle a lot obviously. Arthur and I need to keep working on all aspects of our sailing. We have moments of greatness but not consistently enough.